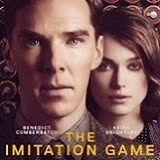 BEVERLY HILLS, CA – Anchor Bay Entertainment and The Weinstein Company are proud to announce the home entertainment release of The Imitation Game, starring Benedict Cumberbatch, Keira Knightley, Matthew Goode, Rory Kinnear, Allen Leech, with Charles Dance, and Mark Strong; written by Graham Moore and directed by Morten Tyldum. Heralded as one of the top films of the year in nearly every major publication, the independently produced film has gone on to gross more than 150 million dollars worldwide, and received eight Academy Award® nominations including Best Picture, five Golden Globe nominations, nine BAFTA nominations, and three Screen Actors Guild nominations. It won the Academy Award for Adapted Screenplay, was named one of the Best Films of the Year by AFI, received the USC Libraries Scripter Award and was awarded Best Adapted Screenplay by the WGA. It will be available for digital download on March 20th before heading to DVD and Blu-Ray with Digital HD on March 31, 2015. 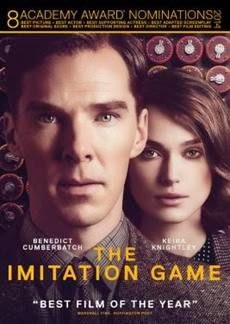 The Imitation Game is rated PG-13 and has a running time of 114 minutes. Blu-Ray and DVD special features include The Making of The Imitation Game, deleted scenes and special commentary. The Blu-Ray will also include the exclusive “Q&A Highlights” special feature.